Currently, if you merge two accounts, any files associated with the non-master account lose the association and have to be manually re-associated. (see below) This makes no sense. All related items including related files should be merged from both accounts. Please fix this. "When duplicate records are related to items such as campaigns or activities, Salesforce relates the items to the merged record, with some exceptions. Chatter feeds are retained from the master record only. 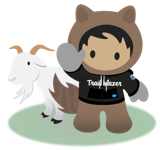 Attachments in Chatter feeds are retained in Salesforce but aren’t associated with the merged record. To associate the dropped files with the merged record, find them in Files home (in Lightning Experience) or the Files tab (in Salesforce Classic). Then add them to the Files related list on the merged record." Similar issue with Chatter Feed items and both are similarly being ignored by SFDC (and have been for years now). Unacceptable! We just discovered thousands of files that were orphaned in the course of our post-launch Salesforce cleanup of duped accounts. Now it looks like we have another big cleanup effort to undertake... this is a huge problem! At the very least there should be a baseline way to edit the properties of the orphaned file and add the merge account as a viewer (Lightening version). Right now all you can do is add people. Any variance from how "Attachments" function should also be listed somewhere (either in a migration doc or a "Files Considerations" article?) especially if this isn't going to be fixed straight away (and extra especially since "Files" and "Notes" are the future!). In the meantime, will be using Doug's fix for this - thanks Doug! Thanks for identifying this Jason. AND doug for the fix. But the average admin won't even know they need to deal with this, so a serious issue. Great job, @Doug Ayers for putting together a fix. But it does seem like Salesforce needs to fix this ASAP. Presumably there are countless records being orphaned in orgs whose admins haven't yet heard of the problem! We constantly merge. Would certainly create issues or need to rethink strategy. My staff will hate losing files this way. Data loss is the enemy! Please fix this.